A California voting record was established when ninety-one percent of Clayton’s 364 registered voters approved incorporation of Contra Costa County’s 13th city on March 3, 1964 in Endeavor Hall. Clayton residents wanted local control of planning and development. They worried about development quality and density and the commercial strip zoning racing their way. 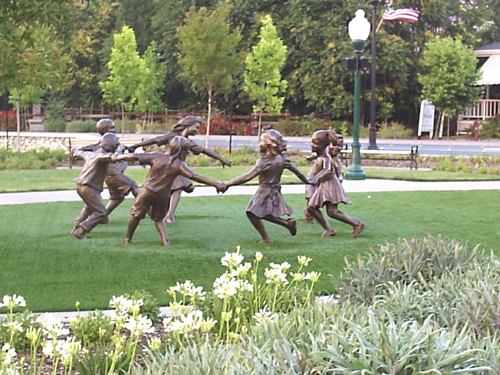 They did not oppose development, but after many futile hearings in Martinez and elsewhere, they wanted to retain the semi-rural ambience of the Upper Clayton Valley. In 1959, some leading Clayton citizens discussed incorporating Clayton to retain its historic identity and rural atmosphere through local control of land use planning and zoning. They were Randall “Chubby” Humble, owner of the Pioneer Inn; George Murchio, land owner; M. F Ohman, general manager of Pittsburg’s Dow Chemical plant; Judge Wroy Renaghan; and Lawrence Wallace, real estate appraiser. Appointed to their committee were Henry White, Martinez Hospital administrator; Thomas Grundy, Eldora Hoyer and Robert Kuntz. Although an initial incorporation attempt failed in 1960, when two quarry properties requested exclusion, the Clayton Revolution was rekindled in 1963 by an impending annexation that would divide the town and forever prevent incorporation of historic Clayton. News of a cherry stem annexation using streets and the Clayton home of Concord’s city attorney to access Cardinet Glen [the subdivision of homes near City Hall on Wallace and Cardinet] was seen in an obscure paragraph of the Oakland Tribune by Clayton’s Nan Wallace on March 3, 1963, who alerted Clayton residents and formed an incorporation study committee. To delay the Concord annexation long enough to explore alternatives, shocked Claytonians immediately filed notice of intention to begin incorporation proceedings. 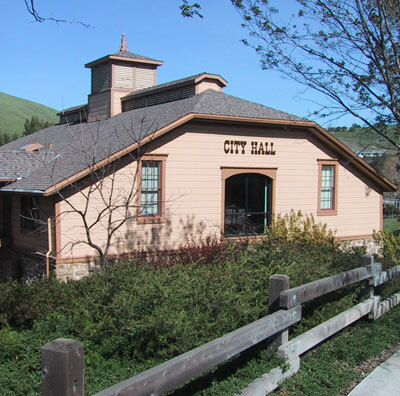 Many residents circulated petitions and Eldora had the honor of delivering the papers to the county offices in Martinez to place it on the ballot. James Conley walked house to house collecting contributions for election expenses and ended up with enough extra money to buy a flag for city meetings. This time the proposed incorporation area excluded large properties whose owners, wanting Concord sewers, could be expected to withdraw their lands and defeat the attempt to bring incorporation to a vote. It was hoped that future residents would annex to Clayton later. While exploring alternatives to incorporation, the Clayton Incorporation Committee managed to have the Concord annexation attempt withdrawn because of irregularities, but it seemed evident that annexation attempts would continue. Clayton residents decided to bring incorporation to a vote feeling that it must be done now or probably never. At 8:00 pm on March 3, 1964, Sigrid Frank, a 69 year old Clayton old timer who was the poll inspector, stepped onto the front porch of Endeavor Hall, rang a brass bell, and in traditional style proclaimed, “Hear Ye! Hear Ye! Hear Ye! The polls are closed.” The incorporation workers were tired but hopeful and euphoria built as the votes were tallied, with community “watchdogs” looking on. On top of the hill above town, Ken Byrd and Richard Hamb began ringing victory news across the valley with Clayton’s old school bell. The community had successfully declared its independence on March 3, 1964 in that historic vote. Clayton’s first official meeting was March 18, 1964, when the council was sworn into office by Judge Wroy Renaghan with a large crowd in attendance. George Abbott and Al Liming drove to Sacramento to file the incorporation papers directly with the Secretary of State, to ensure prompt processing. Maurice Huguet, Jr. was hired as city attorney and Marguerite Ellingson became the city’s part time clerk. Huguet was then the youngest city attorney in Contra Costa County. Our inaugural Planning Commission consisted of Joe Wallace, chairman, Joe Swicegood, Beth Laurence, Charles Levine and Howard Sumerlin. William Walker, a professional accountant, was appointed the first City Treasurer. Clayton’s city letterhead, still in use today, was designed in 1964 by Bob Hoyer with art by Ray Hare, a Clayton Valley High School art student. Clayton’s standing among other jurisdictions grew with its activity on county, district, and regional boards and commissions and in the League of California Cities. In 1966-67 Clayton’s mayor chaired the Contra Costa Mayors’ Conference, and Clayton’s part time clerk was Conference secretary. Clayton was represented at the 1967 National Mayors’ Conference in Honolulu (at no expense to Clayton). Clayton councilmen and appointees filled many key roles and influenced regional decisions affecting Clayton. On Clayton’s first anniversary, the City received a resolution from the County Board of Supervisors commending the City on its first year and its efforts to comply with the wishes of its citizens in terms of community life, and for its forward looking actions related to balanced development. 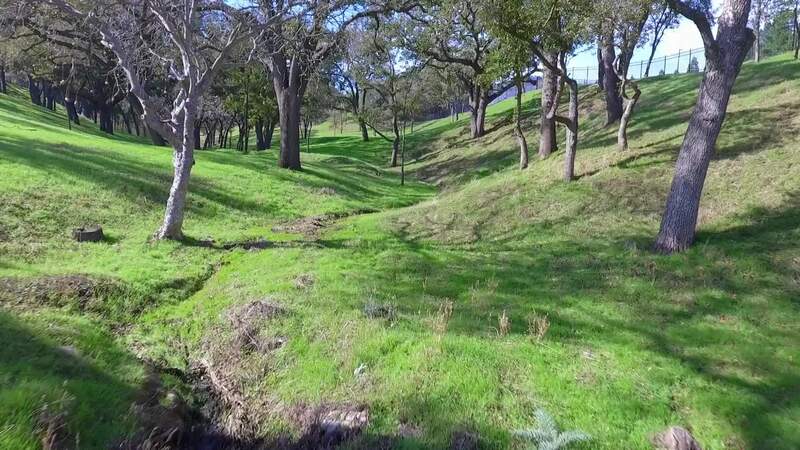 The resolution noted that Clayton was incorporated to maintain a careful balance between progressive development and preservation of one of the most scenic landscapes in the central part of Contra Costa County. Turnout 91% of Registered Voters cast ballots, the largest percentage in the history of California for a municipal election. Results of Council Election: Robert Hoyer-183; Henry Wagner-179; George Abbott-151; David Cook-147; Alvin Liming-140; Clyde Baker-113; Richard Hamb-104; Kenneth Byrd-90; Jack Leue-68; Gloria Patten-56. City Attorney Maurice Huguet, Jr.
City Boundaries: Clayton Road and Mt. Diablo Creek on the north, Marsh Creek Road on the east, Mitchell Canyon Road on the west and certain properties on the east. Partial List of Expenses: City Attorney, $2,000; City Clerk, $1,500; Police Services, $8,875.00; Accounting Services, $250; Insurance and Bonding, $425; Utilities, $48; Telephone, $160; Supplies, $250; Rent, $175. One year after incorporating, the City of Clayton was recognized by the Contra Costa County Board of Supervisors for their superb effort. In 1966, just two years following cityhood, Clayton hosted the Mayor’s Conference. Robert Hoyer served the City of Clayton for 16 years, and chaired the Bay Area Air District in 1971 after being appointed in 1968 to the District.